Tree Characteristics: White Oak can reach a height of 125 feet with a large diameter. Geographic Area: Throughout the United States. Color: Light to dark brown with light brown sapwood. 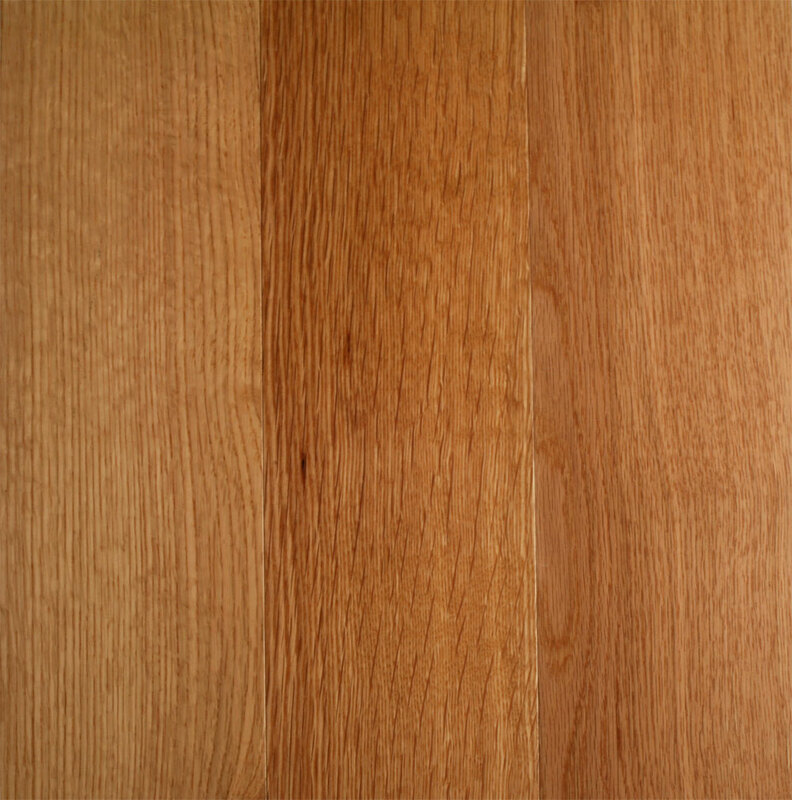 Photosensitivity: White Oak is nearly unaffected by light exposure. Working Characteristics: Rated as easy to work, gluing and holding fasteners exceptionally well. It can split when nailed unless predrilled. It is rated as finishing well, but shrinks considerably. Applications: Ships, railroad crossties, timber bridges, tannin dyes, fuel wood, hardwood dimensions and flooring, furniture, veneer, plywood, barrels, kegs, casks, truck and trailer beds, mining timbers, containers, pallets, caskets, boxes, paneling, flooring.